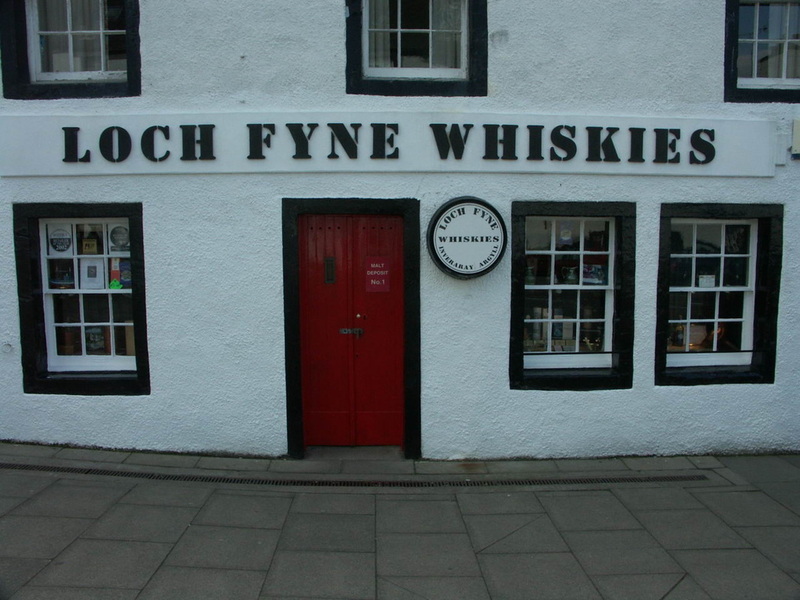 A guide to all the best places to buy Whisky, in person and online - well that's the plan - if I've missed anywhere out, please let me know and I'll give you a mention. The best places to buy Whisky, of course, but if you're not near one then at least you can buy on line, postage is generally not too bad if you're buying multiple bottles. In most places other then London or Edinburgh you're limited to a single shop, though Glasgow now has more of a choice. But what exactly qualifies as a Specialist? Certainly needs to sell more than the normal supermarket range, but there are some grey areas, so some shops may be a little limited, but possibly get a mention beacuse of their location - if there's nowhere else nearby to buy malt whisky. I will try to give a better idea of what you can expect from each retailer as the site is developed. With regard to Glasgow, I've reproduced an article from Glasgow Whisky and Ale blog dated 6 October 2010 reviewing the Whisky shops in Glasgow at that time - the changes mentioned at the end of the article relate to the establishment of the Good Spirits Company, which is now open for business. I've listed all that I can think of here with links to their websites and intend to give many of them a separate page - where the name of the shop is highlighted and underlined, the page has already been created and clicking on the name will take you to it. 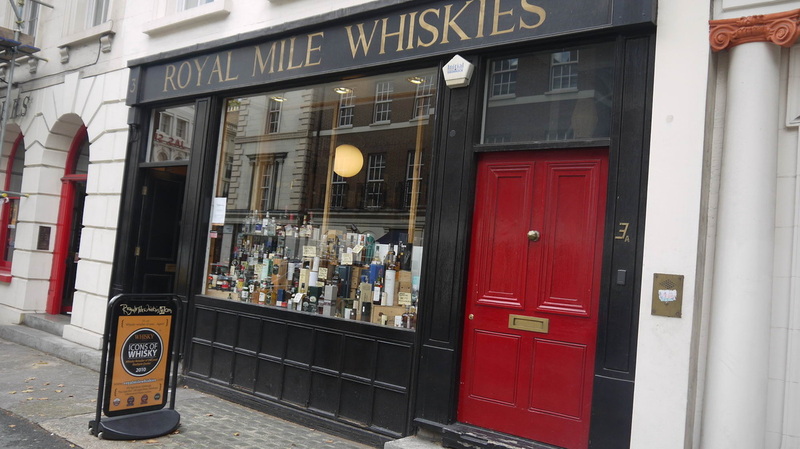 Whisky Marketplace is a price comparison site for whisky - but it's not comprehensive - eg it doesn't seem to include Loch Fine Whiskies and Royal Mile Whiskies. It has a subscription service to notify special offers for the sites it covers. 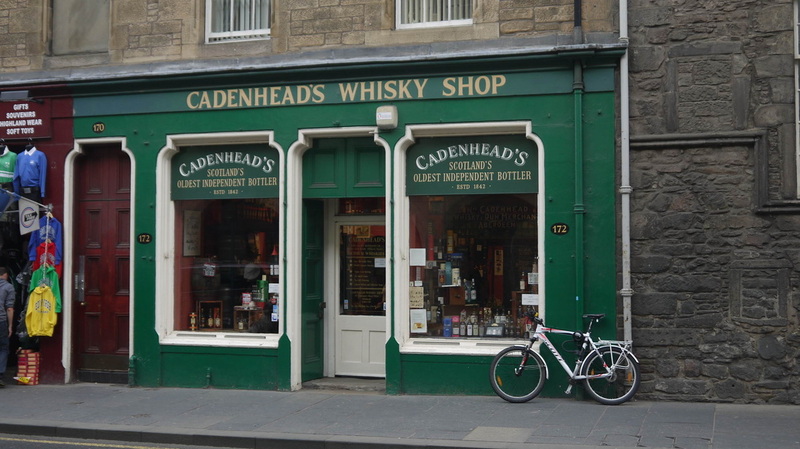 ^Shops with this marking are not primarily in the business of whisky or other drinks, but they carry a good range of whiskies and are therefore worthy of inclusion. %Shops with this marking are primarily wine shops with a limited range of whiskies, but are included due to the lack of a nearby alternative. Clicking on picture links to shop page where available - or direct to the shop's website otherwise. (Irrespective of opening hours, alcohol can only be sold between 10.00am and 10.00pm). +++ Take care with these shops. 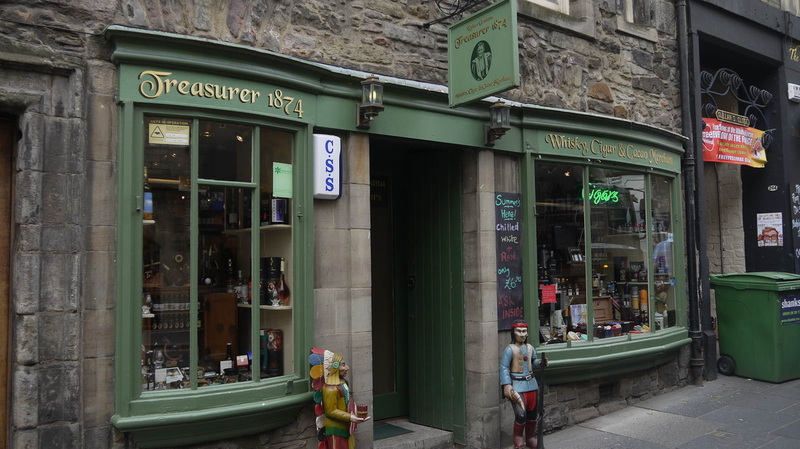 I did have an avoid tag on them, but while their pices are generally higher than other local shops, they are no longer as outrageous as they used to be - for example (2012) :Tomintoul 21yo £89 at Whisky Trail; £43.50 at Cadenheads at the bottom of the Royal Mile. December 2013: £67 at Whisky Trail; £49 at Cadenheads, but this is a particularly good price at Cadenheads - other shops are nearer the mid £60s. I've not listed the Gretna Green shop, where whisky can be bought, but apply for a mortgage first. (The associated site whiskymerchants.co.uk is a mine of information on all things Whisky). * Cambridge Wine Merchants - 4 branches in Cambridge, as well as others listed above. 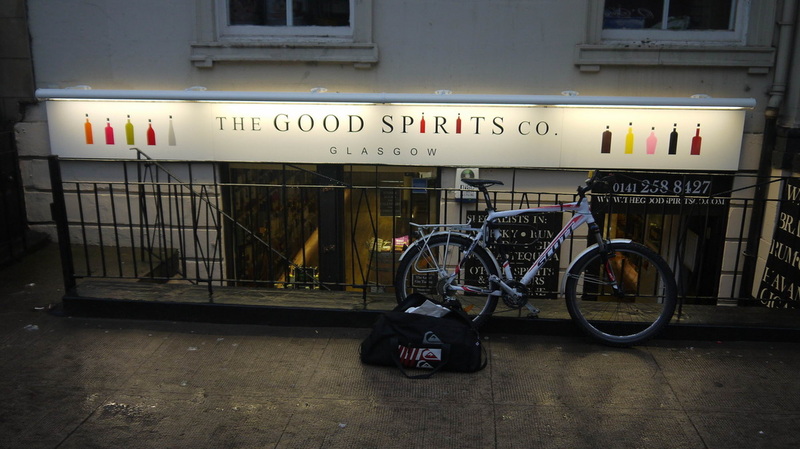 As well as wine they stock up to 300 whiskies - free local delivery by bike! And they organised a whisky festival in 2012. Many (probably most) of the shops listed above also provide an online mail order service. 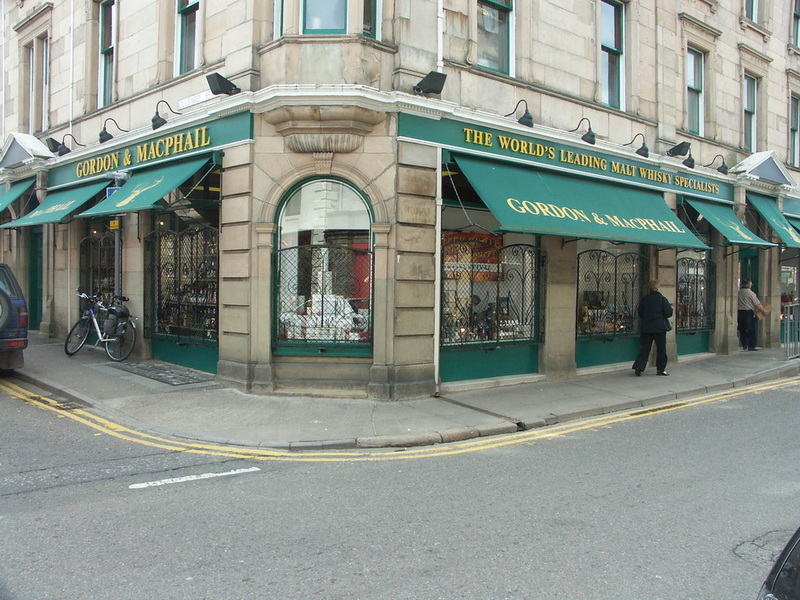 Gordon & MacPhail DO NOT, but you can order from them by phone - details on their site. Listed below are some online only retailers. Distilleries with visitor centres sell their own malt and others from their parent company where appropriate, but get an idea of what you might pay elsewhere, as some can be quite expensive, though some will give a discount against the price of the tour if you've taken one. Tours of Diageo Distilleries open to the public (known as the Classic Malts) are free to Friends of the Classic Malts (which in turn is free to join), but you still get £3 off (70cl) bottles bought in the Distillery shop. The most obvious place to but whisky these days, but the range of malts you'll get is severely limited, particularly outside Scotland. You will get some good offers from time to time, particualrly in the run up to the Winter Solstice (or Xmas for you religious types). Special mention for their range and some very good offers go to Waitrose and Booths, though in both cases their normal prices tend to be higher than others. You may not have heard of Booths, as it's confined to the North West of England (mainly), but well worth a visit for their very extensive range of bottled beer if nothing else! (Not really off subject - as beer is just undistilled whisky). Links to the supermarkets are to their store locator pages: Asda, Booths, Co-Op, Morrison, Sainsbury's, Tesco, Waitrose. Spar are franchised stores rather than a supermarket chain (the world's largest independent voluntary retail trading chain according to Wikipedia), and therefore there's even more variation between stores in terms of what Malts they stock. Costcutter, Nisa and Keystore are similar ventures - there may be some that carry a good range of whiskies The Dufftown, Huntly and Dyce Costcutters and Bowmore Spar have particularly good ranges and describe themselves as Whisky Specialists. The chains generally have a fairly limited range of Malt Whisky, though again that can improve north of the border. Some other independent offies that couldn't be classed as Whisky Specialists, do carry a reasonable range of whisky - again much more likely in Scotland. 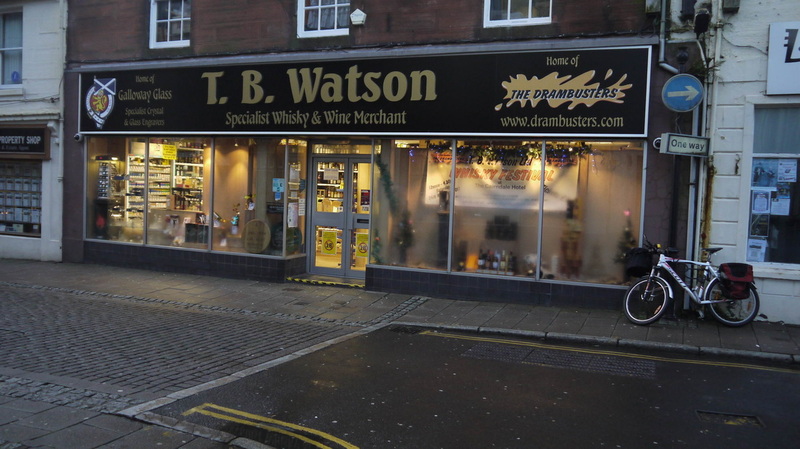 Drinkmonger - a new chain of stores being opened by Royal Mile Whiskies - so far in Pitlochry and Bruntsfield, Edinburgh. The website drinkmonger.com currently re-directs to the RMW site, which has a drinkmonger tab covering all non-whisky drinks. 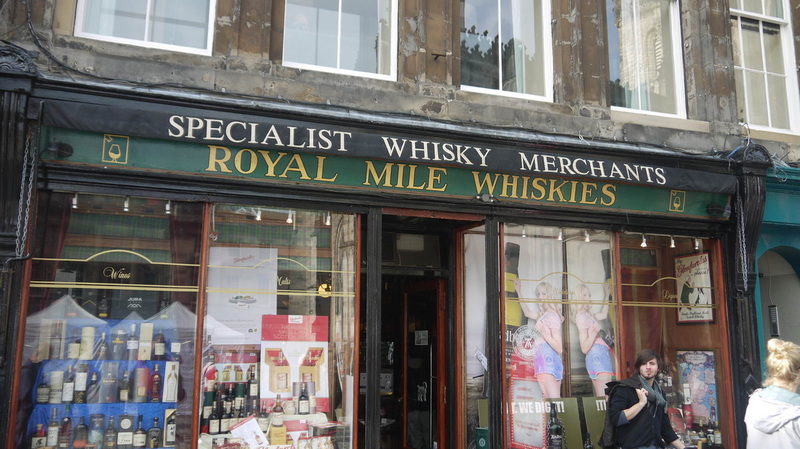 Edinburgh Woollen Mill in Scotland are often licensed and carry a reasonable range of Whisky. Oddbins used to carry a good range of malts before they went into administration - 35 branches have now re-opened, and some other sites may re-open under different ownership and the new website is now up and running. Half of the stores are in London, and most of the rest are in Glasgow, Edinburgh or Aberdeen, but there are 7 dotted around England. Peckham's are a licensed delicatessen with stores in Aberdeen, Edinburgh and Glasgow - plenty of Malt Whiskies - not the cheapest though. Spirited Wines - don't know much about them, but the website only lists 31 whiskies (including 2 bourbons and 2 blends). Maybe worth a look if you're not near a proper specialist. 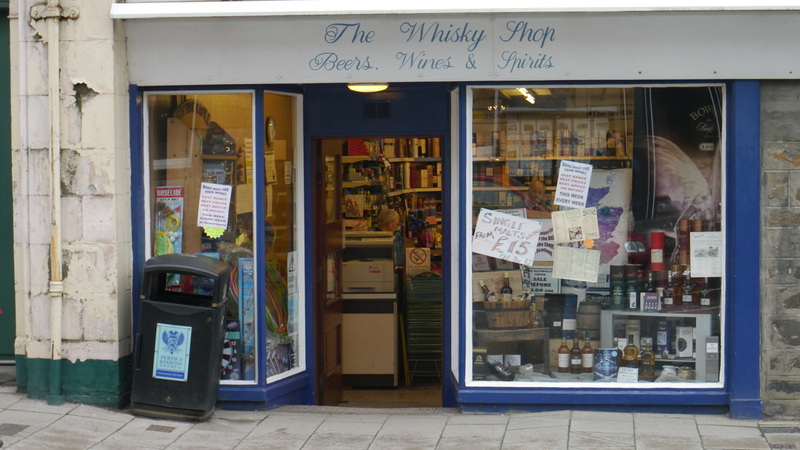 The Whisky Shop (not to be confused with the The Whisky Shop, Dufftown) is a chain of whisky shops mainly in tourist areas, whose range is large, but so are their prices. If you're desparate for a Malt that you can't get in the supermarket, and you're not near another whisky specialist, and you're a banker with a big bonus, they have their uses. Their own bottling Glenkeir Treasures range has been known to produce some ... er treausres.